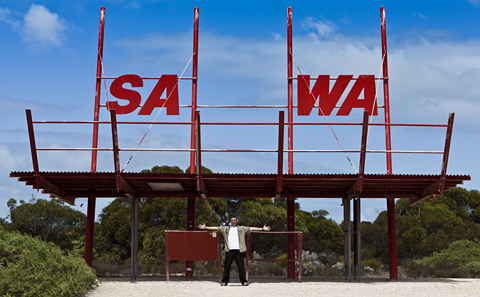 We drove out of Western Australia on the 1st of March. 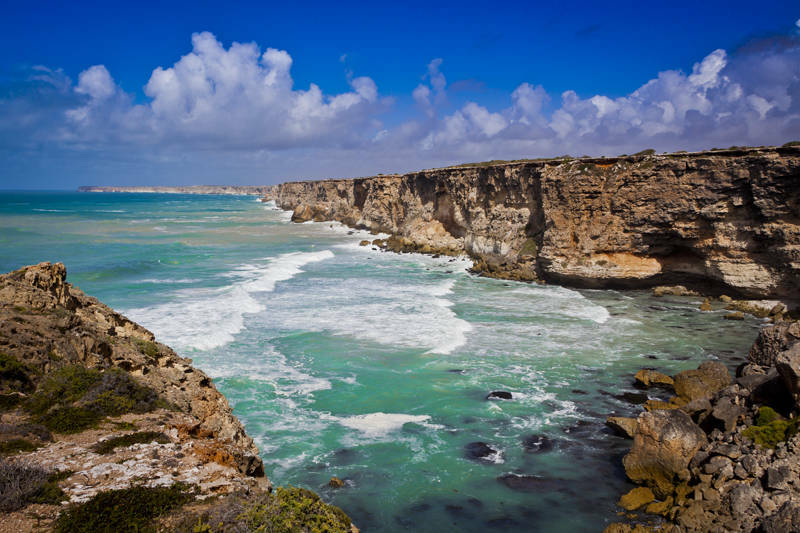 This is the view at the Head of the Great Australian Bight in South Australia. Between June and October large schools of Southern Wright Whales can be seen hear on their annual breeding migration. The ranger told us numbers seem to be on the rise although he was concerned about the effects of BP using explosives to search for oil off the coast this year. Some fisherman had seen changes in behaviour of other marine life since BP started working in the area. We discovered our vans 30 litre tank seems to leak water when we are on the move. It has not been much of a problem yet as we have 46 litres of bottled water on board. Although every roadhouse and campsite has signs up informing you not to even ask for water as it is in such short supply we have managed to fill our tank once on the roadside from conveniently located rain catchers. These are tennis court sized roofs with guttering leading to a storage tank with a tap on. We have made good progress. Often covering 350km a day. We still hope to be in Adelaide before the end of the Fringe Festival on the 18th March.